Eid is a day for thansgiving when Muslims assemble in a brotherly and joyful atmosphere to offer their gratitude to Allah for helping them to fulfil their spiritual obligation prior to Eid. Celebration of Eid goes far beyond spiritual devotion and verbal expression; Eid manifests itself in a social and humanitarian spirit. Remember the deceased and pray for their souls, the needy by extending a helping hand, the grieved byshowing them sympathy and consolation, the sick by cheering them. The one who observes faithfully his duties and who can have command over his desires, is a triumphant one. Forgive those who have wronged you and pray to Allah for forgiveness for your own trespasses. Once you are at peace with Allah, you are at peace with yourself and consequently, with the rest of universe Eid Celebrates the treaty of peace between you and Allah. thanks for your nice mail.good to see. 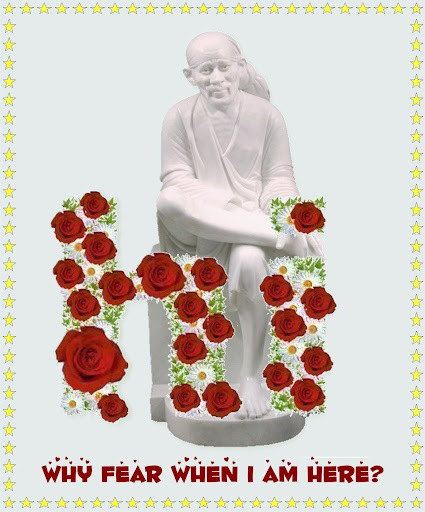 Baba sai must bless you always with happiness and good health.